Harbour Recordings : FICTIONIST PERFORMING AT GIVESTOCK 2017! FICTIONIST PERFORMING AT GIVESTOCK 2017! Fictionist had a successful month of touring the West Coast this June. The band brought their new album, Sleep Machine, to fans in San Francisco, LA, scorching Phoenix and ended the tour in Las Vegas. 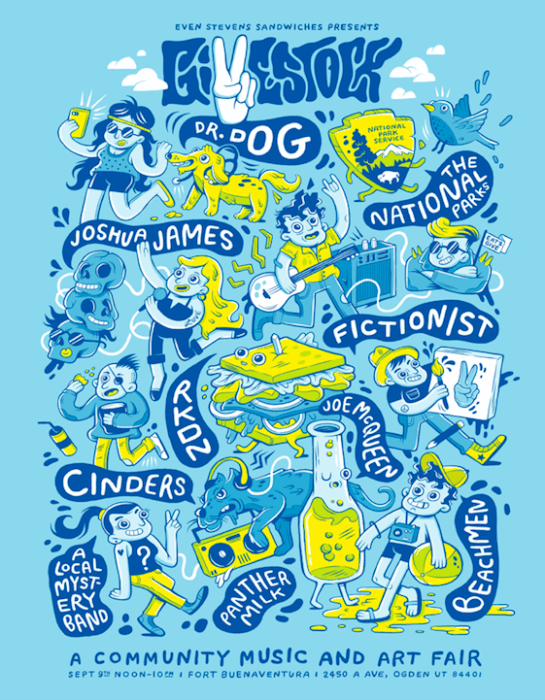 Fictionist have been added to the line-up at this year's Givestock festival in Ogden, Utah. The event takes place September 9th from noon to 10pm and will feature live music and art, food trucks, beer gardens and camping. The festival also helps support the Utah Food Bank by donating two meals for every ticket sold. We hope Fictionist makes it beautifilthy!